April 13th, 2018 By: GGT Category: 2018/09 release, Figure News. 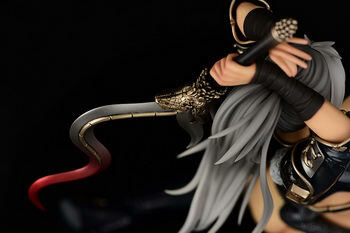 Orcatoys is going to release the Veteran Mercenary Echidna ( 歴戦の傭兵 エキドナ ) High Quality Edition Ver. Darkness 1/6 PVC figure from the visual book/anime “Queen’s Blade” ( クイーンズブレイド ). Will be released in September 2018. Around 210mm tall, 17,800 yen. Castoffable.